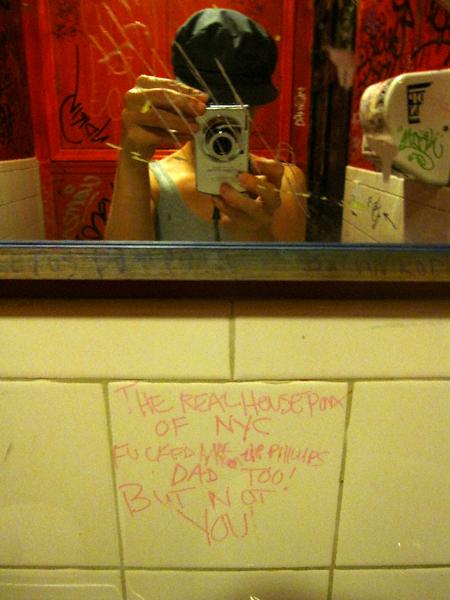 The real housepunx of NYC fucked MacKenzie Phillips dad too! But not you! From the women’s restroom at San Loco. Are those claw marks on the mirror?! Don’t know and I do not want to know, Xris!